See all the events in which Ricardo will participate in the coming months, and also the past events. Ricardo will represent Brightline Initiative at TED2019 with a series of activities related to what take to turn ideas into results. TED2019 will foster the search for deeper meaning. The event will explore technologies that evoke wonder, mind-bending science that will drive the future as significantly as any politician, the design of cities and other powerful human systems that shape our lives. 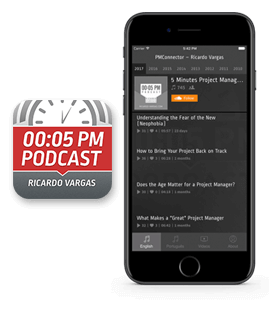 Ricardo Vargas will be a keynote at the event talking about Artificial Intelligence in project management support. Brightline Initiative, PMI and BCG will host one more time a breakfast promoted by The Economist to discuss the main trends in strategy and business with global political and business leaders on January 22nd. More information will be available soon. Ricardo will speak at the forum representing Brightline Initiative. He will participate on the panel: Strategy: From Fiction to Reality. Ricardo will attend and speak at the Websummit. The event is considered the largest tech conference in the world. Brightline will host an exclusive invite-only conference for strategy executives and thought leaders from world-class organizations to exchange insights, share experiences and build networks. The conference will bring together world’s top leaders from the business, government, academic, and social sectors for a common mission of reducing waste caused by poor strategy implementation. The global conference is PMI® flagship event, attracting thousands of like-minded professionals for three days of top-notch learning, networking and fun. You’ll build instantly applicable skills, hear from high-energy speakers and form lasting friendships. All while celebrating being part of a global community of change champions. Ricardo attends the conference since 1998 in Long Beach (more than 21 times). Brightline Initiative is a key supporter of the Nordic Business Forum on the track about strategy. The forum will have the presence of former US President Barack Obama. Nordic Business Forum has become one of the world’s most significant business conferences for a reason. The events are known for a customer experience like no other, attention to detail, an impressive speaker lineup, top notch customer service, and bright-minded attendees.